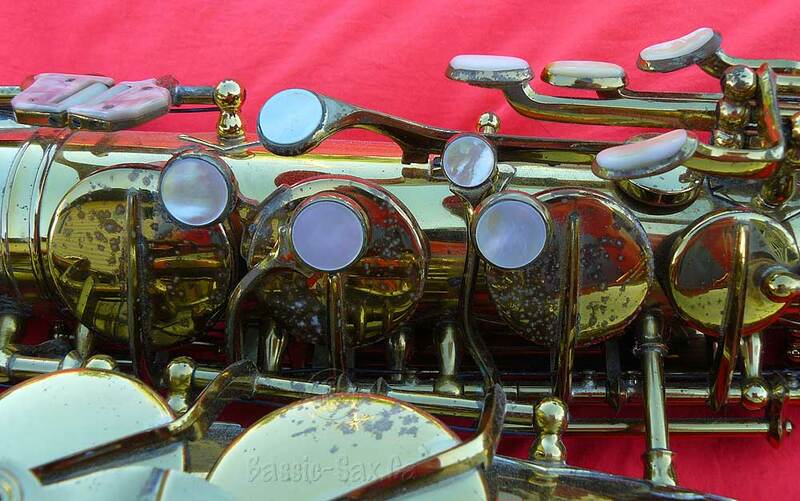 In fall of 2004 I picked this Hüttl alto up at an antique show. 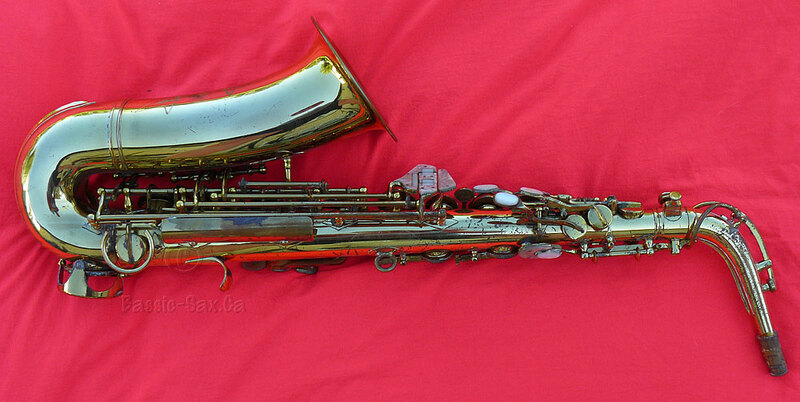 It is a very heavy horn. 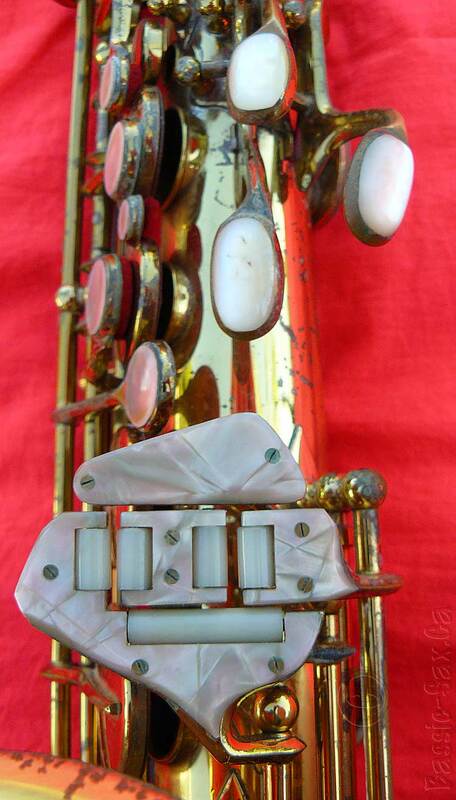 It has rolled tone holes; right-sided bell keys; and mother of pearl in-lays on all the keys—including the left thumb rest, right palm and side keys. 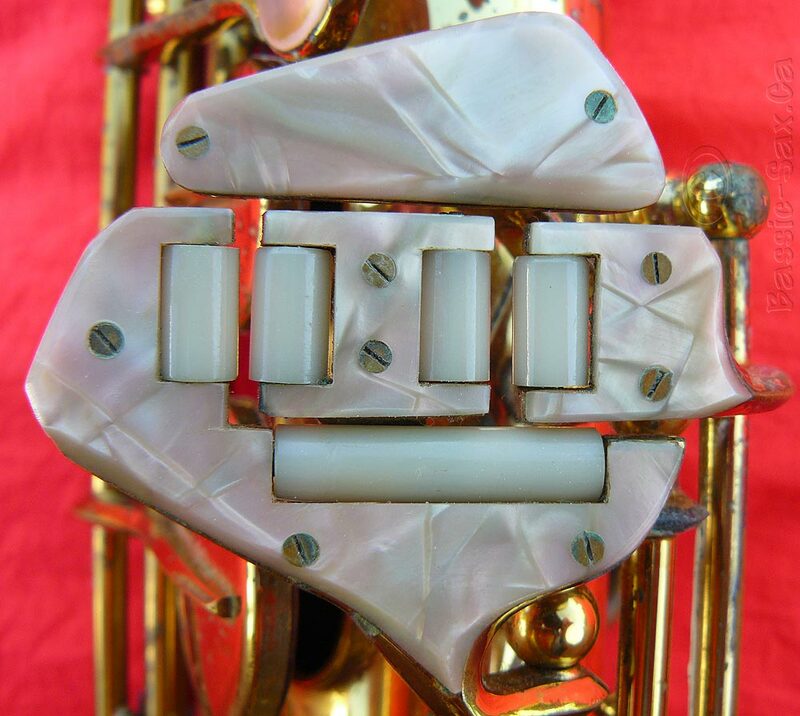 It also has a G# trill key; Fork Eb; and a very strange extra key I’d never seen before that would be operated by your right index finger. 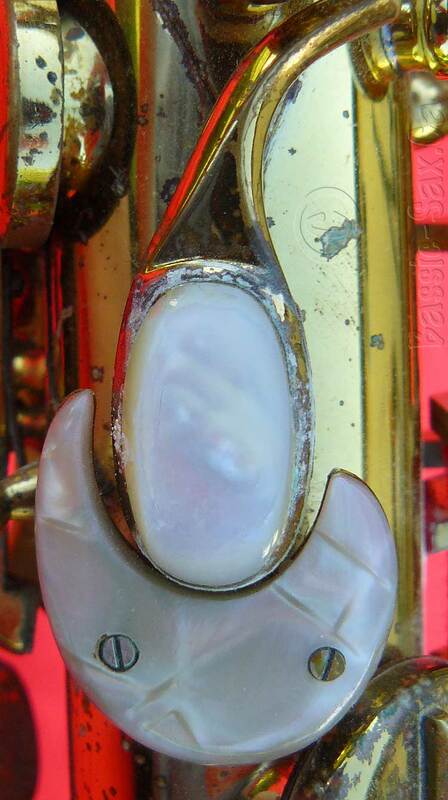 This key opens the Eb palm key allowing you to trill from D3 to D#3. 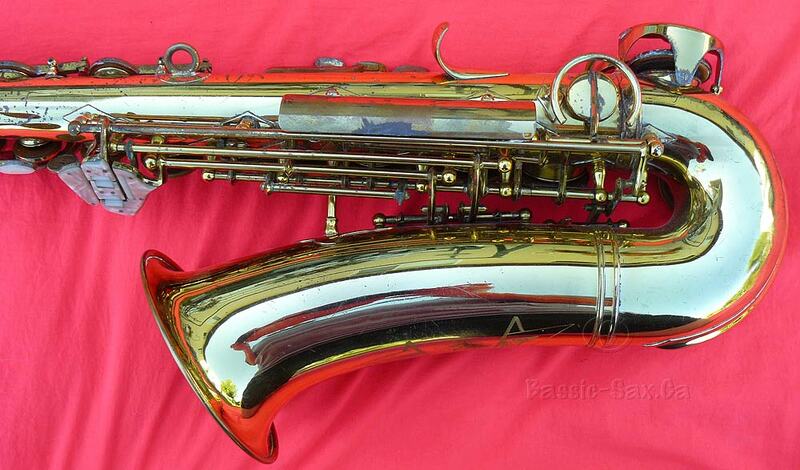 From the Internet research I had done on the brand name, I had found no references to saxophones, only to brass instruments like French horns and coronets, and to a photo of a vintage jazz guitar. 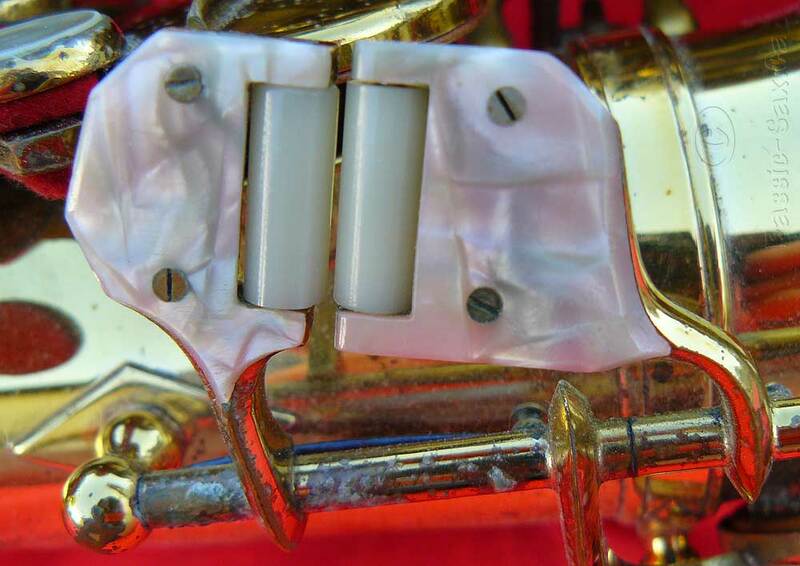 Until April 2008, when I received a couple emails from Germany, I had found out very little concrete information about the horn, except that it played surprisingly well, despite it being in serious need of a restoration. 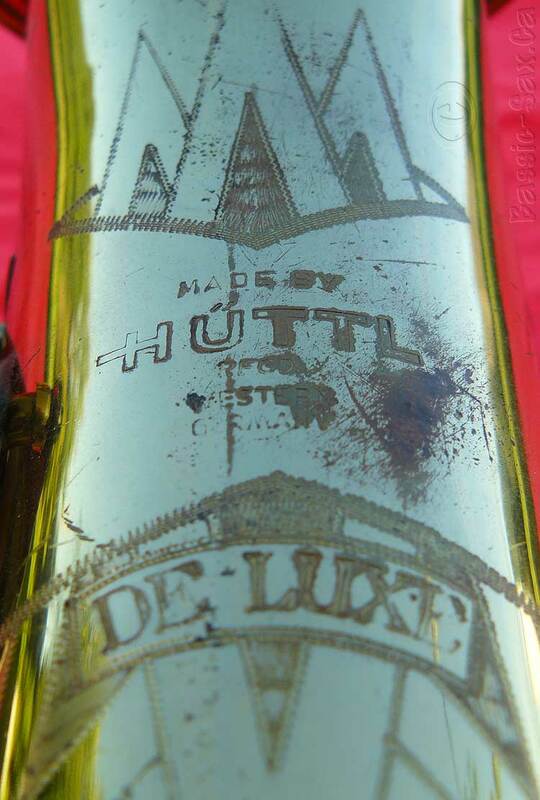 As it turns out, this Hüttl alto was manufactured by the Hammerschmidt company in Burgau, Germany. 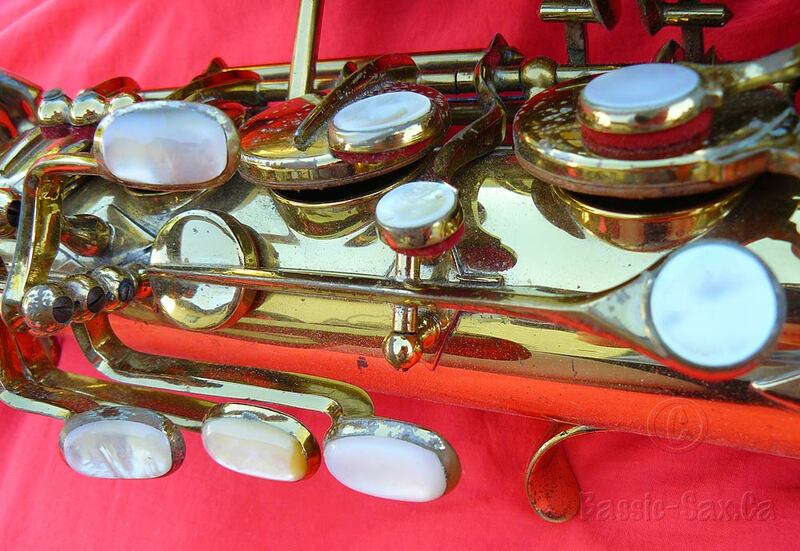 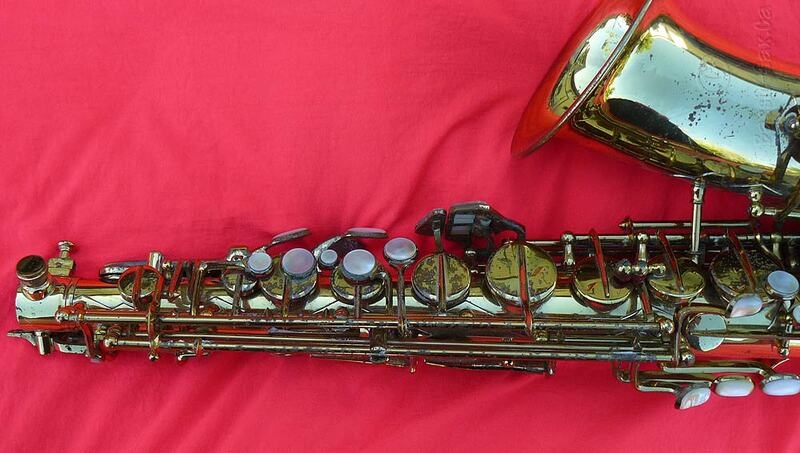 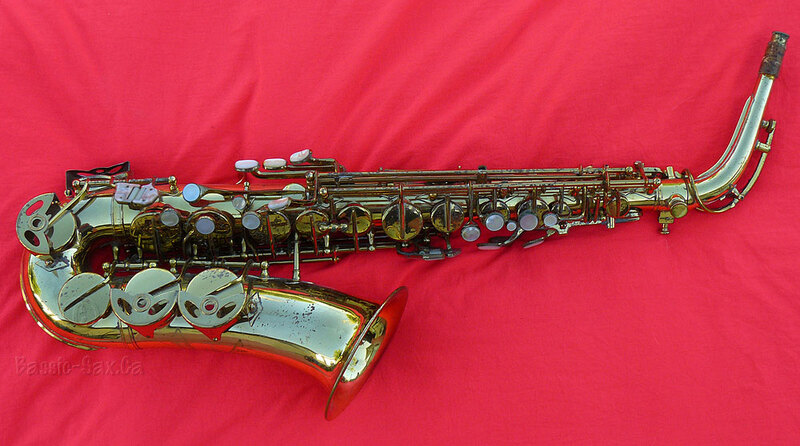 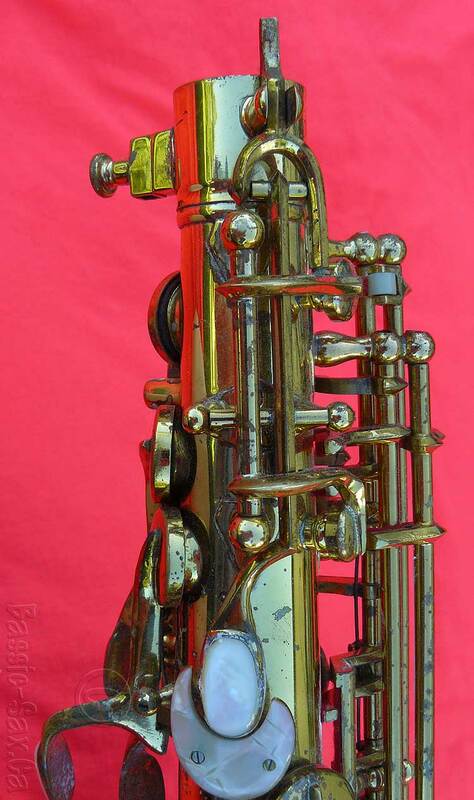 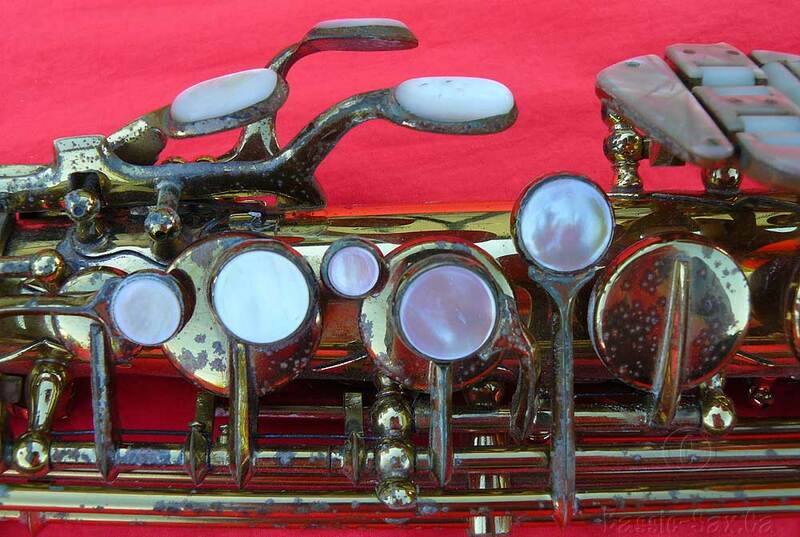 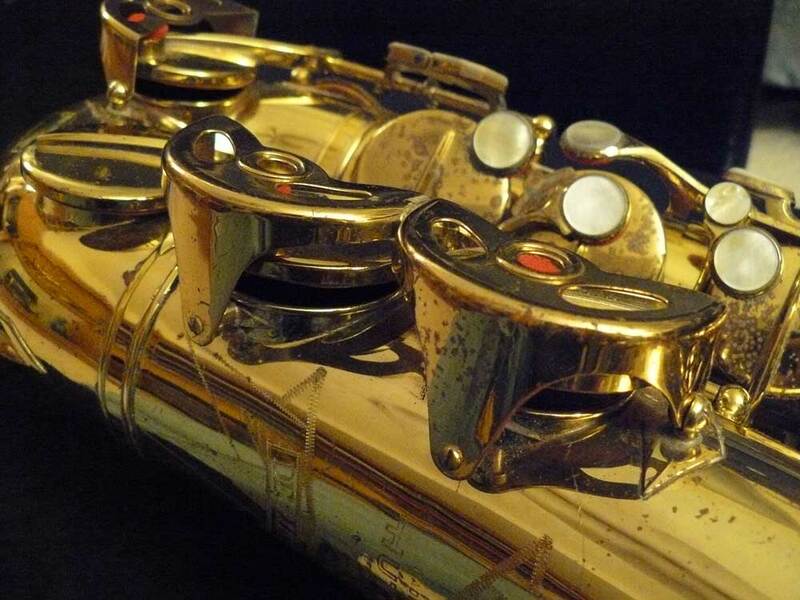 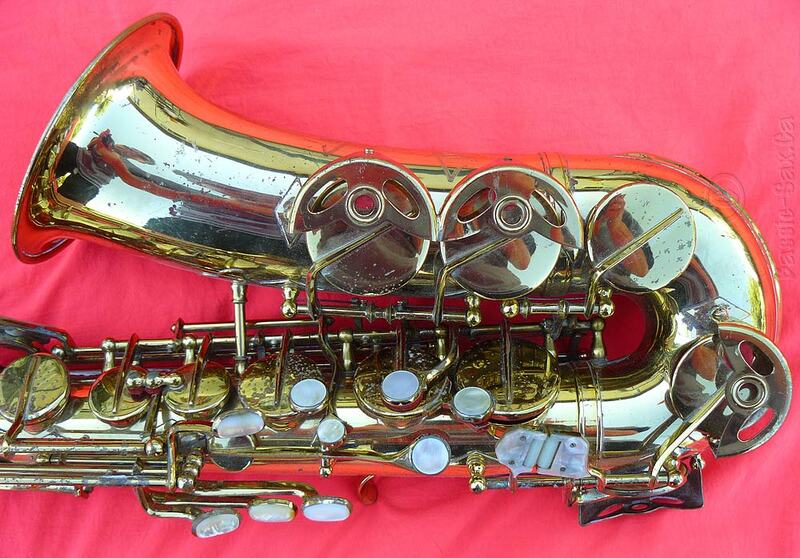 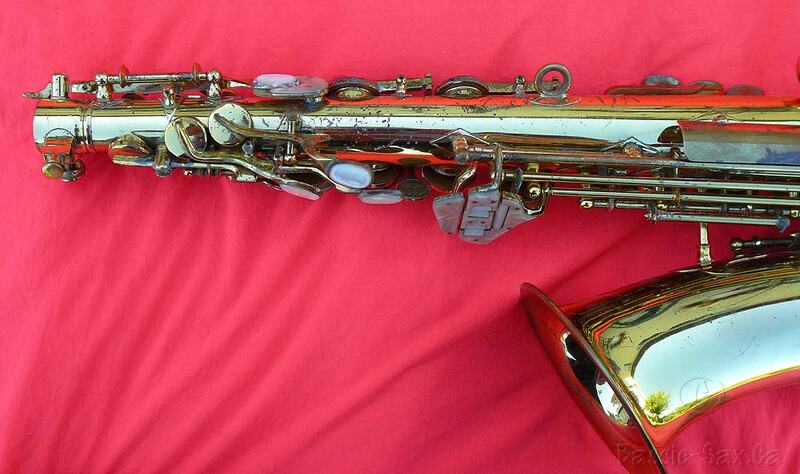 Make sure you check out the Hammerschmidt section of my website if you want to find out more about this rare, vintage, German saxophone.